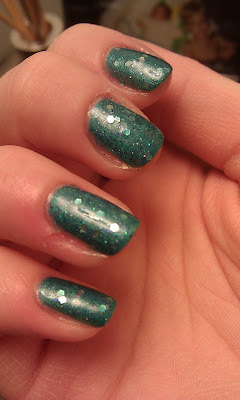 Let There Be Lacquer: Franken!! 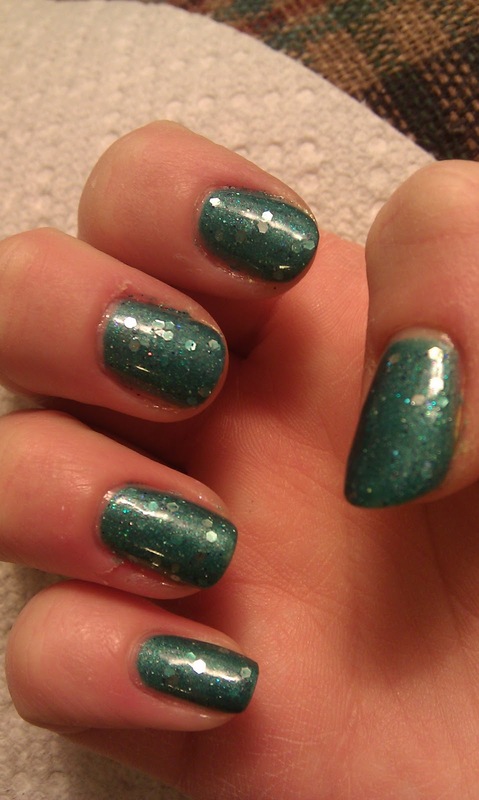 OMG so i was feeling a teal polish with lots of glitter.. I happen to not own anything like that at the moment. so I decided that I would try my hand at making a polish. I took a clear wet n wild and added cheap eye shadow in blue and green until I had a color I liked. 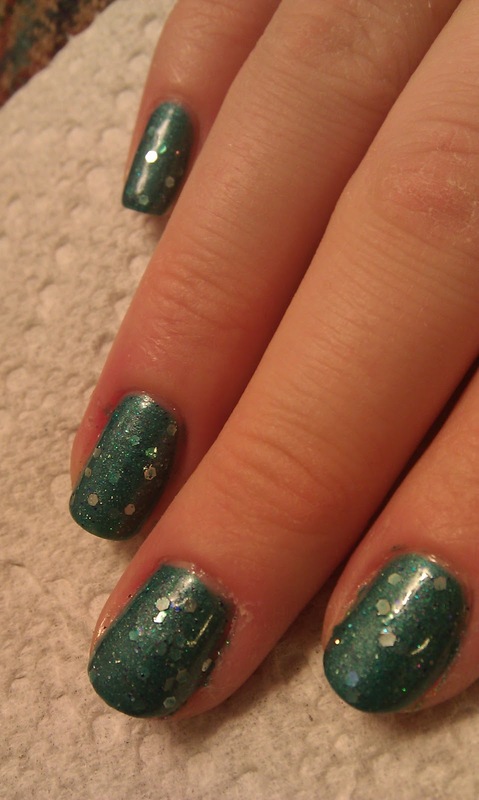 I then took some of the silver holo polish I had and added enough for some sparkle. I also added dark blue and holo glitters to the mix. Lastly I added an insane amount of silver hexies. viola this is what the end result is! 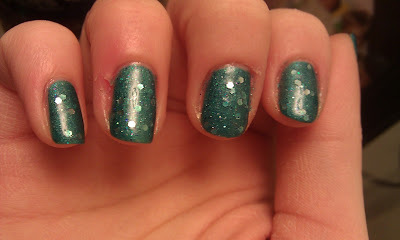 not as shiny as I hoped it would be but its still pretty for my first franken!